AHRE has found that 11 journalists, bloggers and activists arrested during the weekend, including recently released political prisoners, On March 25 2018, Ethiopian Police and Security forces arrested journalists Eskindir Nega and Temesgen Dessalege, activists Andualem Arage, Addisu Getinet, Yidnekachewu Addis, Sintayehu Chekol, Tefera Tesfaye and Woynshet Molla, and bloggers Mahlet Fantahun, Befiqadu Hailu, Zelalem Workagegnhu, and Fekadu Mehatemework, Their arrest was ordered by the Command Post while they were attending a private gathering at the resident of journalist Temesgen Dessalege in Addis Ababa, Jomo district. This private gathering was to celebrate the release of political prisoners who were recently freed. They are currently being held at Gotera-Pepsi Police Station in Addis Ababa. 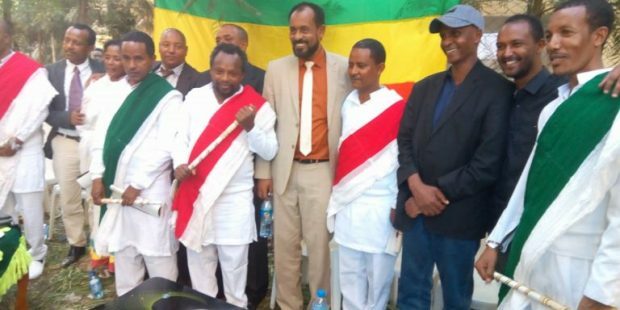 AHRE also received information that another 15 people were arrested on March 24, 2018 in Bahirdar town, Amhara regional state, while they were collecting a petition to establish a new political party with the permission of the National Electorial Board. Those arrested include Dr. Dessalegn Chane (professor at Bahirdar University), Gashawu Mersha, Yesuf Ibrahim (a lawyer and former university lecturer), Temesgen Tessema (lecturer at Wolo University), Belete Molla (lecturer at Addis Ababa.University), Nigatu Asress (journalist at Amhara Regional TV), Belete Kassa (former editor-in-chief of Qelem Qend newspaper), Sisay Altqseb, Daniel Abebaw, Mengiste Tegene, Bogale Abebaw, Mengiste Tegene, Bogale Arage, Kassu Hailu (lecturer at Enjibar University), Tessema Kassahun, Dirssan Birhane, Berihun Assefa, Fikru Kassaw, Temesgen Birhanu and two other people. They were arrested while attending a dinner party in Bahirdar town after they held their first General Assembly during the day. According to local sources, the 19 detainees were brutally beaten by police during their arrest and they have been forced to sleep on a concrete floor without giving them mattress and bed sheets. They are all now being held at Bahirdar town 9th police station. AHRE condemns the government’s continued violation of the right to freedom of association and use of the new state of emergency to increase the repression, arrest and harassing of human rights defenders, journalists and the political opposition. We urge the government to release all political prisoners and hold an inclusive and genuine dialogue to begin a much-needed reform process in the country. · Lift the ban on basic freedoms and fundamental rights that are enforced by the authorities and Command Post following the declaration of the state of emergency. UPDATE: some of them are released. But Eskinder, Andualem and Temesgen and others are still in custody. Golgul. Notice: Reports, rebuttals, analyses, press releases and/or recommendations offered by the author/s or organization/s do not necessarily reflect that of Goolgule: Amharic Internet Newspaper’s stand.